Your appliances are designed to make life easier. They should take extra tasks off your hands so that you can focus on what really matters. However, when a fridge or washer stops working at home, it can throw a wrench in your daily routines. If you have a business, a broken freezer or oven can cost you a lot of money and time. Turn to Mr. Appliance of Poplar Bluff for all of your appliance repairs in Farmington. Our appliance service technicians have extensive experience working with a variety of different makes and models. We understand the intricacies of many different appliances. We have not yet met a unit that we could not fix. With a comprehensive diagnosis, we provide cost-effective, lasting solutions. Contact us for appliance repairs in Farmington: (573) 768-8336. For over 20 years, Mr. Appliance has been the trusted name in appliance repairs and services. We have helped countless residents in Farmington and more. Your appliances are your investments into your home and company. They cost a significant amount because they are made to last. However, when they start acting up, don’t waste and time more money by trying to fix the issue on your own. 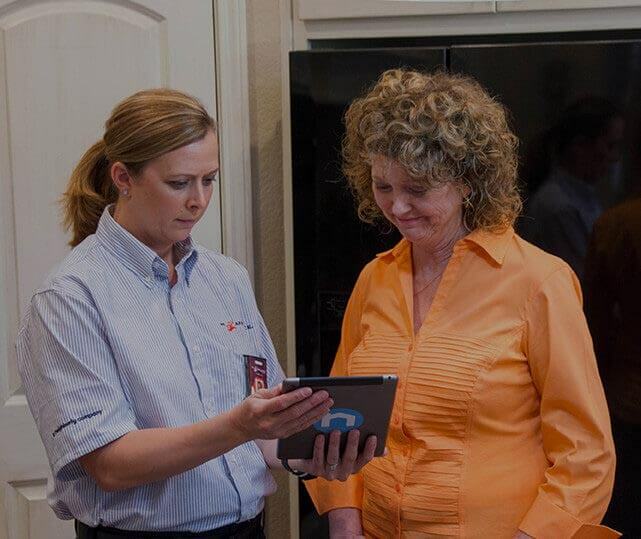 Allow our appliance repair specialists to service your unit! By the time we’re done with it, it will work like new again. Are you ready to schedule service? Call (573) 768-8336 today! $10 Off Any Service (of $100 or more) Not valid with any other offers or for diagnostic fee. Valid at participating locations only. Limit one. Locally owned and independently operated franchise.